All registrants are invited to enjoy light fare and a cash bar during the first networking event of the ADAA 39th Annual Conference (following the Opening Session and Keynote Address). 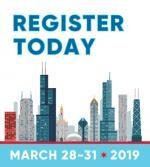 First time attending the ADAA Conference? Come join us for a special breakfast to welcome you. Long time ADAA members are welcome to come and engage first timers and show them what our community is all about! ADAA’s Genetic and Neuroscience SIG presents Failure to Launch? Promises and Pitfalls of Genetic/Neuroimaging Predictors in Mental Health featuring Roy Perlis, MD and Isaac Galatzer-Levy, PhD. Both speakers will give a 15-minute talk about the promises and pitfalls of genetic and neuroimaging predicators in mental health. An interactive discussion will follow. Jill Ehrenreich-May, PhD, Jonathan Grayson, PhD and Barbara Rothbaum, PhD will be speaking at the Early Career Professionals and Students lunch complimentary for Students, Post-Docs, Residents and Trainees only. First come, first served. Emily Bilek, PhD, winner of the Child and Adolescent SIG Student/Early Career Award will present her work on “Piloting a Self-distancing Augmentation to Exposure Therapy” at the Child and Adolescent SIG meeting. Please note: Times and locations are subject to change. Get your free professional headshot taken here at #ADAA2019 in the Exhibit Hall. Reminder alerts will be sent out via the mobile app. First come - first served. Headshots courtesy of: Craig Skorburg, Owner/Operation of Skoburg & Associates Photography, Chicago, IL. We are excited to announce that we will be bringing back Dine-Arounds for #ADAA2019! Dine-Arounds are a fun way to meet network with other conference attendees over dinner. If you are an active ADAA member and would like to host a Dine-Around, sign up here. Registration to participate coming soon. Chicago’s Premier All-Psychotherapist Comedy Improv Troupe! Featuring ADAA member Dave Carbonell. Tickets and info at: www.therapyplayers.com use code “ADAA” for discounted tickets. If you haven’t seen Therapy Players, you haven’t seen Chicago! View the full Therapy Players flyer here.